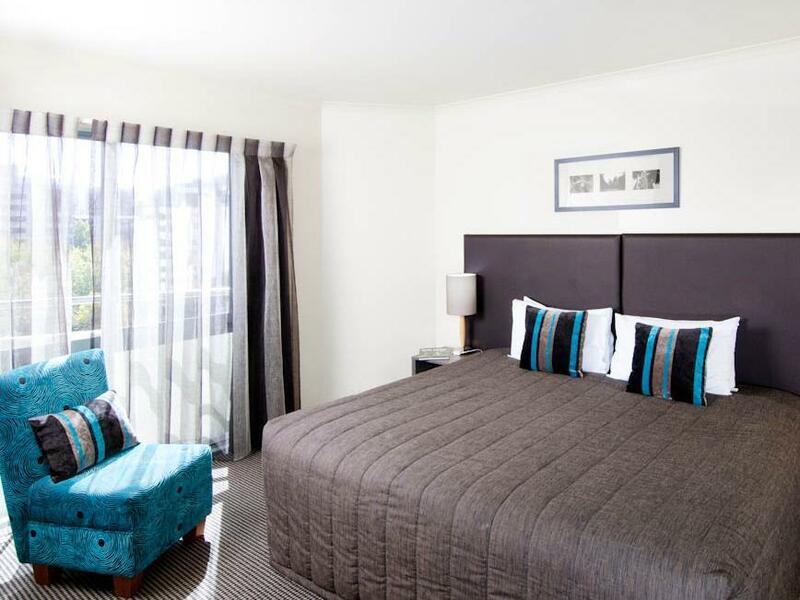 يشكل فندق Quest Auckland Serviced Apartments بموقعه الممتاز في قلب مركز مدينة أوكلاند نقطة انطلاق ممتازة لاستكشاف أوكلاند. يحظى هذا الفندق ذو 4 نجمات بمكان ممتاز يسمح بالوصول إلى المعالم السياحية الأكبر في المدينة، فهو يبعد مسافة 1km عن صخب المدينة. يوفر الفندق بفضل موقعة الجيد وصولاً سهلاً إلى أهم معالم المدينة.
. إن حسن الضيافة والخدمات الراقية التي تعرف بها Quest Serviced Apartments تغني تجربتك في Quest Auckland Serviced Apartments. يمكن الاستمتاع بمجموعة من الخدمات على أعلى المستويات في الفندق كمثل مجهز لذوي الإحتياجات الخاصة, مكتب الاستقبال على مدار الساعة, صف السيارات, خدمة الغرف, مطعم. في الفندق غرف نوم يتجاوز عددها 74، كلها مجهزة بعناية وجمال وبعضها مزود بـ تلفزيون بشاشة مسطحة, غرف لغير المدخنين, مكيف هواء, تدفئة, مكتب. كما أن مجموعة الخدمات الواسعة الموجودة في الفندق لضمان راحتك تترك لك الكثير من الخيارات لقضاء وقتك أثناء فترة إقامتك. إن Quest Auckland Serviced Apartments هو خيار ذكي بالنسبة للمسافرين إلى أوكلاند، بما يوفره من إقامة هادئة ومرحة. يُرجى ملاحظة أن Quest Auckland Serviced Apartments يتطلب تقديم بطاقة هوية سارية تحوي صورة شخصية ودفع القيمة الإجمالية للإقامة عند تسجيل الوصول. يُرجى ملاحظة أن Quest Auckland Serviced Apartments يتطلب تفويضًا مسبقًا لبطاقة الائتمان أو وديعة نقدية عند تسجيل الوصول لتغطية أي رسوم طارئة. يُرجى ملاحظة وجوب دفع تكلفة إضافيّة بنسبة 3% عند الدفع بواسطة بطاقة ائتمان أمريكان اكسبريس، كما يتوجب دفع تكلفة إضافيّة بنسبة 1.5% عند الدفع ببطاقة ائتمان فيزا أو ماستر كارد. يرجى ملاحظة أن الدفع بواسطة بطاقات الائتمان يخضع لرسوم. يُرجى من الضيوف إبلاغ Quest Auckland Serviced Apartments بالموعد المتوقع للوصول مسبقًا، ويمكن ذكر الموعد في خانة الطلبات الخاصة عند الحجز أو الاتصال بمكان الإقامة باستخدام بيانات الاتصال الواردة في رسالة تأكيد الحجز. تتوفر خدمة تنظيف الغرف على النحو التالي: الإقامة لليلة واحدة - تتم الخدمة يوميًا الإقامة من ليلتين إلى 4 ليال - تتم الخدمة مرة كل يومين إقامة لأكثر من 5 ليال - تتم الخدمة مرتين أسبوعيًأ يُرجى ملاحظة أن هذا الفندق يطبق ’سياسة عدم إقامة حفلات‘ بشكل صارم، وأي إنتهاك لهذه السياسة يؤدي إلى ترحيل النزيل من الفندق بالإضافة إلى فرض رسوم إضافية للتنظيف. تكون ساعات عمل المطعم كالتالي: - العشاء من يوم الاثنين وحتى الخميس. تبدأ الهابي آور من 5 مساءً حتى 7 مساءً من الأثنين للخميس. 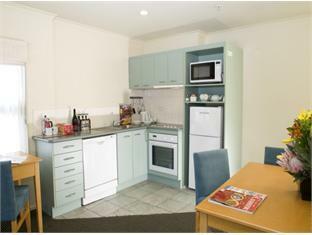 يرجى إبلاغ Quest Auckland Serviced Apartments بشكل مسبق بوقت وصولك المتوقع. بإمكانك استخدام حقل الطلبات الخاصة أثناء عملية الحجز أو يمكنك التواصل مع مكان الإقامة مباشرةًً من خلال معلومات التواصل المذكورة في تأكيد الحجز. The check-in staff member at Reception was not friendly or welcoming - quite rude and a real “put off” for our stay initially. However, Reception staff the following day were wonderful. Great value for money - the continental breakfast that was included was exceptional. Well appointed unit with everything we needed. Room was spacious and facilities were good. Service of staff was also good. Would love to stay in this place in future too. Only lifts were faulty often and cannot control the lift opening. Car park too difficult and narrow . I shouted my parents 3 nights away here with a trip to Waiheke Island. They loved it and said it was a very well equipped stay with much more than they needed. They enjoyed how close it was to everything and said the staff were very helpful and friendly. They loved the breakfast and balcony views of the city also. The were up on the 13th floor and said they had no problems with noise even though it was in the heart of the city over a weekend. It was a very comfortable stay and convenient especially for doing business on Queens Street and getting food at the restaurants late at night. The staff were friendly and the room is well equipped. Will be happy to stay there again. The hotel is situated at a very convenient location. We checked-in very late but the there was no problem as I had emailed the hotel and informed them about it. The staff are courteous and helpful. Breakfast can be had in the room or at the restaurant. 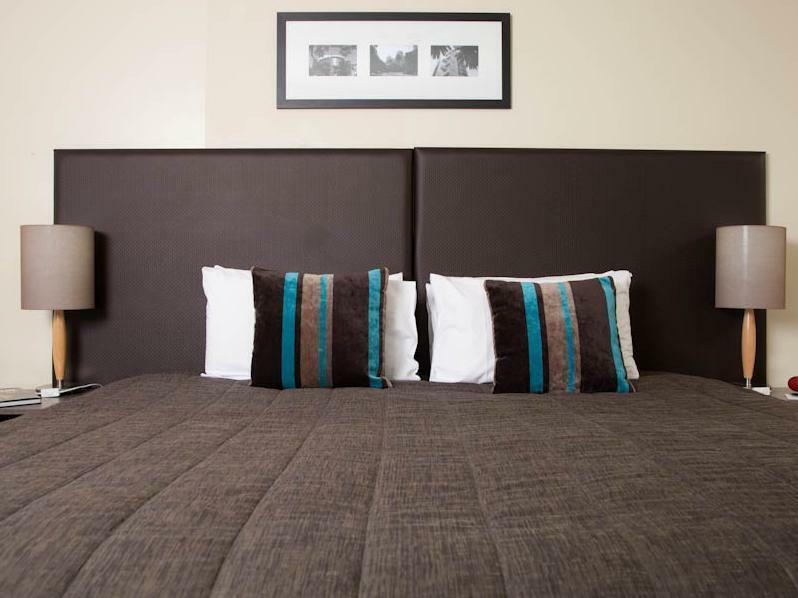 I would not hesitate to stay at Quest Auckland again. The studio room I was comfortable and had almost everything I needed. It was great to be able to use the in-room washing machine and to cook simple meals thanks to the fully-equipped kitchenette. The staff was friendly and professional, and there is parking right below the 'hotel'. 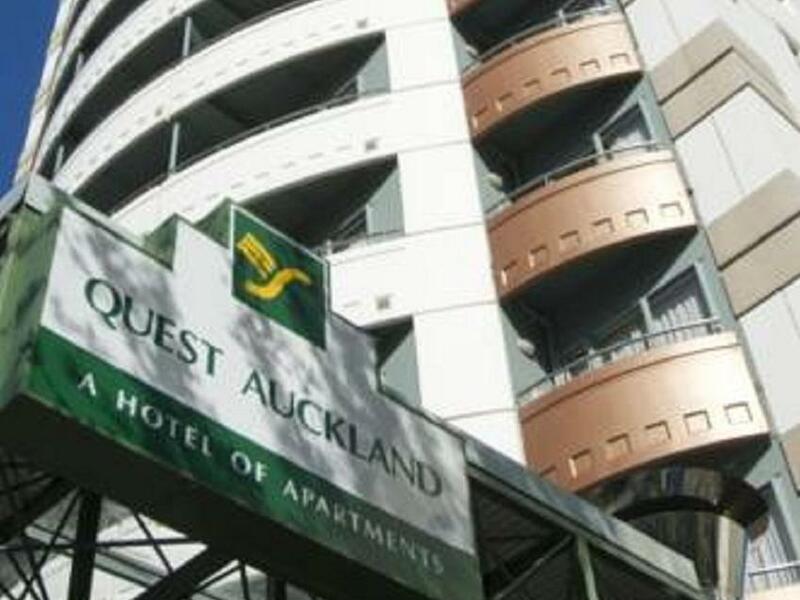 Since Quest Auckland is located right on Queen Street, the centre of Auckland is very much at your fingertips. It took less than 20 minutes to walk to the waterfront. -- The only slightly negative aspect about Quest Auckland is that there is no free wifi access. They do offer packages, but they are rather expensive. Thankfully, there are cheap internet cafes closeby. Stayed here for 1 night in November 2013 for a stop over in Auckland before a regional NZ flight the next day. We booked a One bedroom apartment with extra bed as I was travelling along with a couple. We ended up receiving a 2 bedroom suite on a high floor so we were extremely happy. Also the apartment had a washer and dryer which came in handy. Easy walk to the main shopping areas with lots of nearby restaurants and takeaways to choose from. Room included breakfast which was continental (some toast, cereal, juice, tea/coffee choc biscuits, staff very friendly and the entire check-in/out was seamless. Not the newest hotel, but extremely well kept and comfortable. Single business traveller, needed to stay for a week. The room had every thing I need, kitchen, laundry ... which made my stay to be more flexible. A lot of restaurants just crossing the street, within 30 meters. Walking distance to downtown center, shopping was everywhere. Room is at reasonable size, good for 1 person. Kitchen and laundry facilities in room were great. Can stay for weeks for works or travels. I got a room facing to the Auckland Tower, perfect view at night. it was a nice experience for me in the quest. the room itself looks so neat and spacious. i could not believe i am getting this much of services and commodities for the money that i am paying for. the hotel is very close to the transport hubs like the sky tower, where i can get taxi or a travel bus. i was pleased that i could get such a nice apartment to stay with easy access to all the focal points. i feel like at home every time i am back to the apartment. good hotel, value for money. good facilities, good breakfast and friendly staff. very central location in Auckland City. Good size apartment. The kitchenette needs updating as does the bathroom. Some part of the apartment have already been renovated. Carpet and curtains etc. all new. Included breakfast cereal, bread to make toast and jam, butter etc. We would stay here again. This is an old friend, I have stayed here on and off for over 15 years when I have had business in Auckland. The building is getting tired but the service remains excellent and the rooms well maintained. Its a great location and a very comfortable place to stay - highly recommended. The most impression about this hotel is location. It's located right on Queen Street which is a main road to downtown area. There are many restaurants nearby especially Japanese and Korean and some Chinese and lots just opposite the road. The Asian supermarket is just a block away as well. The Sky bus stop from & to the airport is just right there near the hotel. Room is a bit old and quite basic but OK for that price. I stayed at the hotel with my sister. The staff were welcoming and eager to help. They gave great advice when I needed medical services. The breakfast was wonderful - I particularly liked the fact that there was unsweetened yoghurt and muesli. The hotel is in an excellent location with public transport and good restaurants close by. Our only concern was the fact that there was extremely smelly bags of rubbish left in the corridor for hours and the rubbish in the room was not collected during our stay.